It is easy to say, "I want to change", but to actually do it is another thing. When you say, "I want to quit smoking but I can't", it actually means, "I know smoking is bad for me but I don't want to quit". A person who is serious about changing will be willing to go through what she has to go through to see and experience the change. 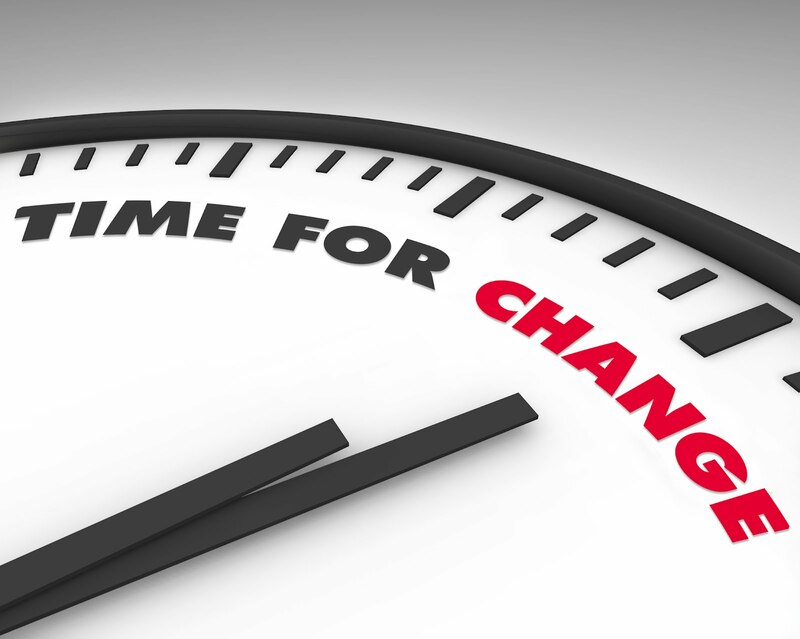 Where does change begin and how does it happen? Change begins when a person realizes that she is in a bad situation. Unless she reaches this point, she will not even crave for the change. There has to be a severe desperation to be in a better place. There has to be no other option but to get out of the situation. Some people reach this point but also end here. They crave for the change but eventually go back to their old ways. There has to be an action that corresponds with the desire. And that action has to be followed up by further steps that will make the person feel adjusted to the change. 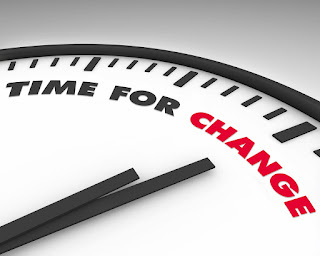 One criterion that I use to determine if a person is ready to change or not is the person's seriousness about change. For as long as there are "ifs" and "buts", then the seriousness is not fully there. If the person is not ready to do it NOW, then she is not serious enough. If she is waiting for something to happen before she makes that decision and move to change, then she is not serious about it. This woman was so desperate for healing. She tried everything she could do and spent all her money but still did not get healed. She had one last chance, and that is through Jesus. She believed it. She didn't care what it took. She was so desperate that she didn't wait for it to come to her. She sought for it. And she had so much faith that if she can just touch the fringe of Jesus' garment, she will be healed. Despite the crowd pressing hard around Jesus, He still recognized that the power proceeding from Him had gone forth. There was power in the woman's desperation... the power that brought about her faith... which brought about her actions... and finally brought about her healing. Desperation... Faith... Action. These are three factors that bring about true change. Here is another story I want to share with you to stress my point more clearly. Now there is in Jerusalem a pool near the Sheep Gate. This pool in the Hebrew is called Bethesda, having five porches (alcoves, colonnades, doorways). In these lay a great number of sick folk-some blind, some crippled, and some paralyzed waiting for the bubbling up of the water. For an angel of the Lord went down at appointed seasons into the pool and moved and stirred up the water; whoever then first, after the stirring up of the water, stepped in was cured of whatever disease with which he was afflicted. There was a certain man there who had suffered with a deep-seated and lingering disorder for thirty-eight years. When Jesus noticed him lying there [helpless], knowing that he had already been a long time in that condition, He said to him, "Do you want to become well"? The invalid answered, "Sir, I have nobody when the water is moving to put me into the pool; but while I am trying to come [into it] myself, somebody else steps down ahead of me". Jesus said to him, "Get up! Pick up your bed (sleeping pad) and walk"! Instantly the man became well and recovered his strength and picked up his bed and walked. (John 5:2-9). Here was a man wanting to change but lacking the desperation that the woman in the first story had. Jesus did not even help him because He wanted the man to act on his own volition. In the same way, no matter how you pray to Jesus for change, unless you do your part in taking action, He will not help you. He will provide the way for you but He will wait for you to move before He moves. Look at how Jesus dealt with this man. He said, "Get up! Pick up your bed (sleeping pad) and walk"! So don't expect changes to happen to your life unless you are ready for that change. Don't say you're ready if you are not willing to take that first step. Don't say you're ready if you are not desperate enough to seek after the solution, whatever it takes. Don't say you're ready if you don't have faith that you can change. And don't say you're ready if you are not ready to change NOW. Once you are ready, then you will see how God will move in your life. When you're ready, then I can also be of help to you.